I found this pack of cute little orange pumpkins at our local craft store and at Halloween they were displayed in a basket. When Thanksgiving came around I felt like they needed a face lift and I had a need for place cards for Thanksgiving so I painted them with 3 coats of antique white paint. As my pumpkins were drying I cut some light gauge wire roughly 6 inches long and curled it 3 times around my finger. 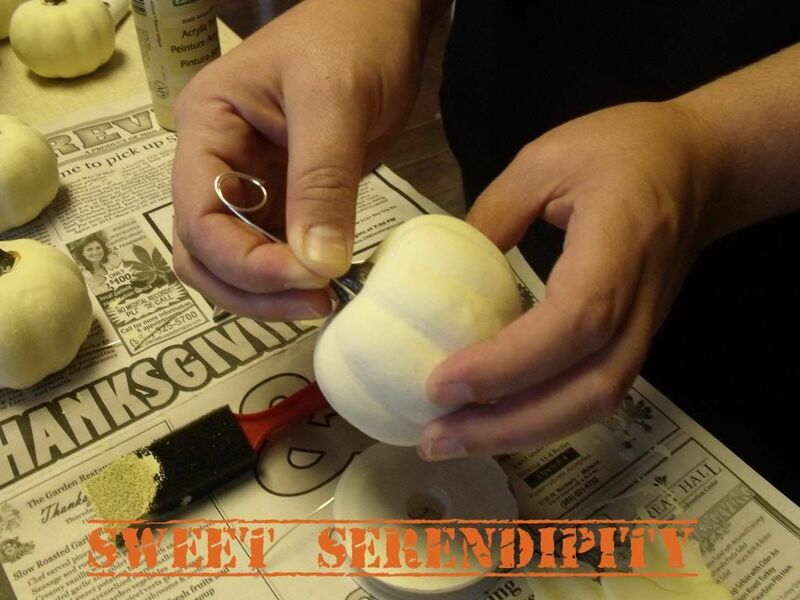 Once the pumpkins were dry I poked the opposite end of the wire into the pumpkin right next to the stem. Leaving the circle I had made by wrapping the wire around my finger at the top. 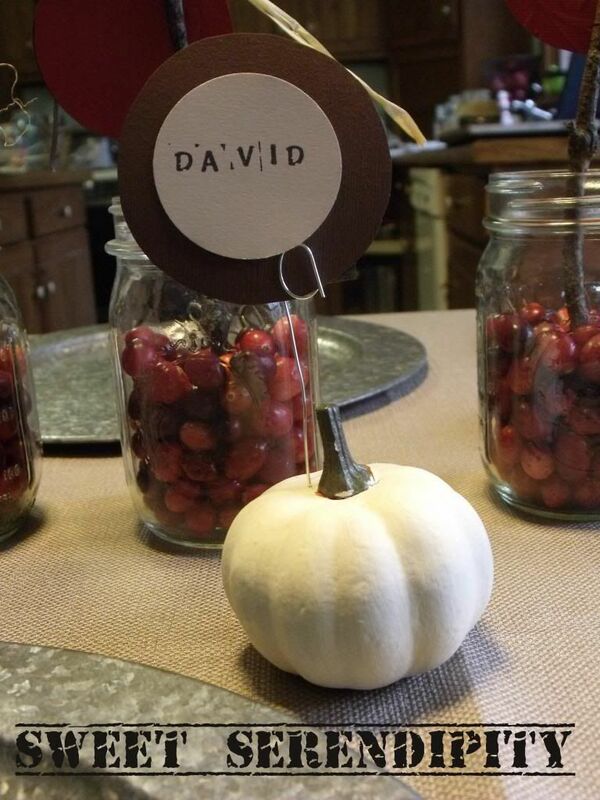 To make the actual name card I punched a 2 inch circle out of chocolate card stock and 1.5 inch circle out of cream card stock(you can use whatever color you want to to match your table and that same advice goes to what color you paint your pumpkin) with a circle punch. Once all my circles were punched I stuck them together with glue dots centering the cream circle onto the chocolate circle. This is were I let the children get involved and they stamped their names onto the cream circle and then placed them into the wire. 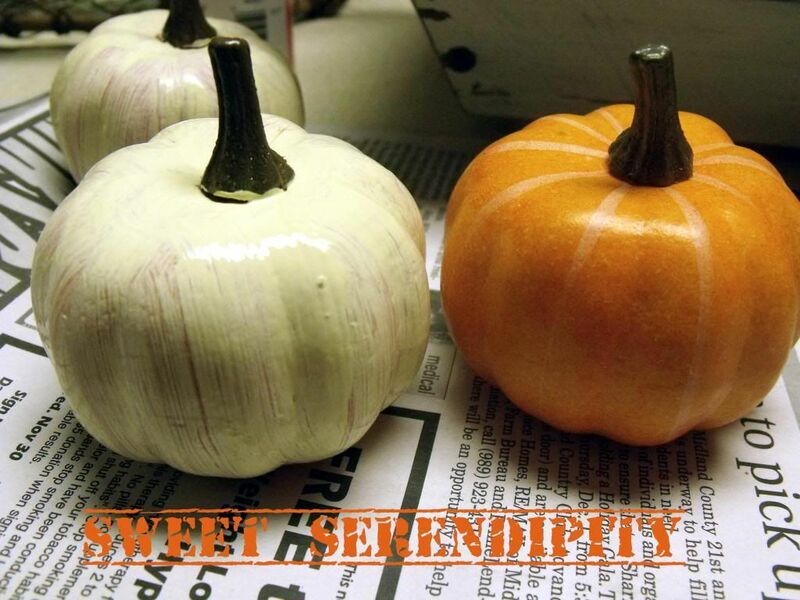 Now they are already to place on your Fall/Thanksgiving Table!! !